A man or I would say an ambitious man thrive in the hearts of the people not when he climbs the ladder of success for his popularity but when he places the needs of others in front of his. Most of us out there can start a restaurant and reap benefits out of it but what makes us stand out is getting our ambitions in-line with the environmental concerns. How about stepping out of our comfort zone and contributing our best for a better world? 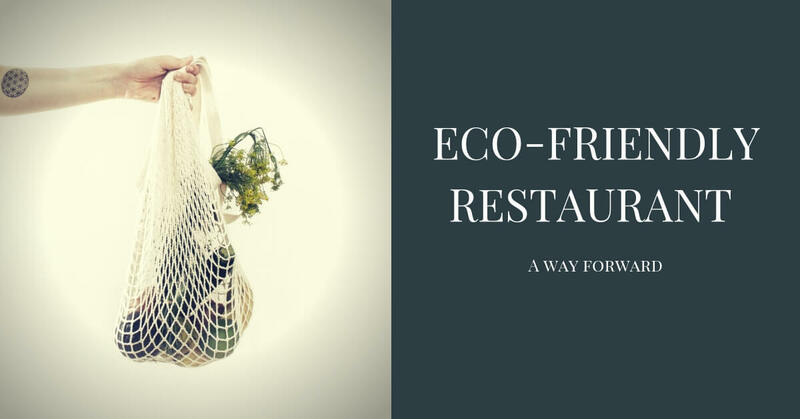 Here we provide you ways to opt for an eco friendly restaurant without compromising on other factors. When only 0.014% of water on Earth is accessible, it is important that we use water economically and wisely. A study says that restaurant uses 5800 gallons per day which counts to 2 million gallons of water per year excluding the impact of leaks. Isn’t that alarming? Here are few ways to curtail the excess usage of water. ✓ Refill the glass with water only upon request. ✓ Make sure the taps are not leaking at any time of the day. ✓ Avoid bottled water and use glass or jug as table water. ✓ One can also opt for a refill station instead of table water by providing reusable bottles. The primary step in inculcating the above practises, to transform into an eco friendly restaurant, is to educate the employees on conservation of water. The best way to oversee the excess food is by using a digital inventory tool which sends reminders when the items near the expiration date and track stock levels in real time so that one can take proactive measures to avoid food wastage. Even after all the measures there may be unavoidable food wastage. At those times make sure it is handed over to the right organisation like NoFoodWaste, Feeding India, who feed the needy. Eco friendly restaurant also finds a way to cut down the cost for waste disposals is by practising the habit of composting. Composting food trash is not only eco friendly but also helps you to use it as humus for your own produce. It is as simple as having a compost bin in the kitchen and asking the employees to discard the food based waste in the can which can be later composted. If I had to remind you, the theme for World Environment day this year was ‘Beat Plastic Pollution’. That shows the intensity of destruction done to this world as a result of plastic usage. Polystyrene is the most hazardous material used worldwide. It not only pollutes the environment by occupying the landfill as a non-renewable energy but it also turns out to be creating health problems when used to consume food. Here we list out some alternatives for plastic straws, packages, containers and the stores where we could get it to switch to a eco friendly restaurant. ✓ Pappco India is working towards a greener India by providing eco friendly alternative right from straws to takeaway packaging. It uses sugarcane, bamboo and wheat straw to manufacture its disposables. ✓ RedButler offers Bamboo fibre dinnerware collection. It not only has an aesthetic appeal but it is also bio-degradble and positively food safe. ✓ Visfortech provides biodegradable tableware made up of Bagasse, a renewable resource and the most cost effective alternative for plastic. It is made from sugar cane fibre. These products are sturdy, cut resistant, microwave safe and most suitable for fish and chips, chicken, etc. With plastic ban anticipated all over India this would be the best time to switch over to eco friendly products. In US alone over million gallons of oil, 10 million trees and 1 billion gallons of water are consumed each year in the creation of receipts. Majority of them are not going to look at the paper receipt more than once. So what is the use of cutting down millions of trees to print receipts? Paper receipts not only harm the environment but also affects our health. Thermal paper coating consists of BPA which is an endocrine disruptor causing health problems. Hence eco friendly restaurant avoid paper receipts. 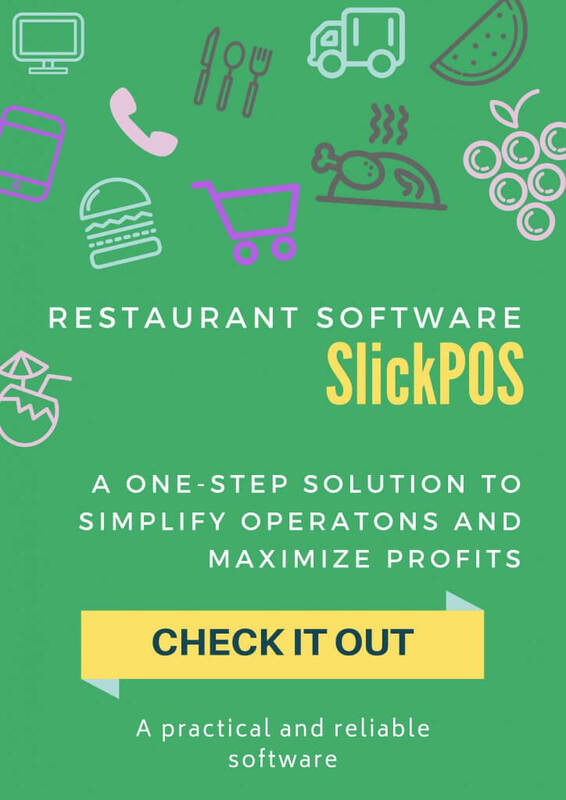 The possible solution is to opt for a POS software in the market which gives an option of sending a paperless receipt as a SMS or email receipt. Investing in long term products is better than investing in short term products multiple times especially when the investment is for the betterment of the world we live in. This is where sustainability comes to play making you the forerunner comparing to your counter parts. Some ways to follow the 3 R’s thereby opting an eco friendly restaurant are listed below. ✓ Go for eco-friendly, reusable gloves. ✓ Replace toilet paper with chlorine free recycled toilet paper. ✓ Avoid plastic materials and use reusable and recycled containers. ✓ Segregate and dispose the waste accordingly. A little time spent in analysing the alternatives would reap enormous benefits. Be the trendsetter among the lot to start an eco friendly restaurant. Do not wait for the eleventh hour for a good cause. Spread the Green!